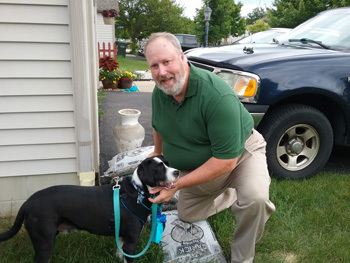 "Where your home is the waiting room"
Dr. Richardson is a 1986 graduate of The Ohio State University College of Veterinary Medicine and is licensed to practice in the State of Ohio. He has over 30 years experience in medicine and surgery, and has a special interest in skin diseases. Dr. Richardson is a member of The Ohio Veterinary Medical Association with the Veterinary Information Network. 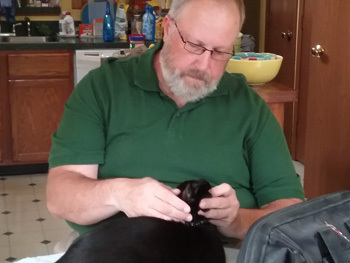 Before starting The Travelling Vet, Dr. Richardson practiced small animal medicine and surgery in a traditional private practice when he recognized there was a need to make an office visit more personalized and relaxed at the client’s home. Dr. Richardson is looking forward to helping you with your pet care needs.